Team Associated SC10 4×4 Aluminum Wheel Hexes « Big Squid RC – RC Car and Truck News, Reviews, Videos, and More! 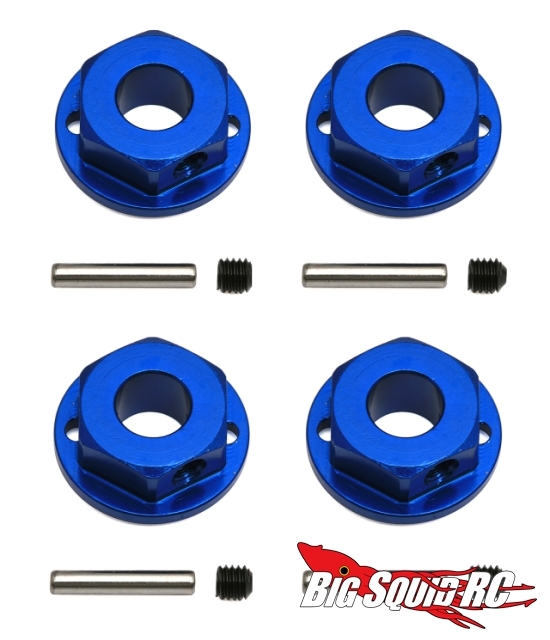 Team Associated has some new aluminum wheel hexes for their SC10 4×4. These are pretty awesome, as the hex adaptors and drive pins are secured with an M3 set screw! I wish some other companies got on board with this. I know some have, but others haven’t. 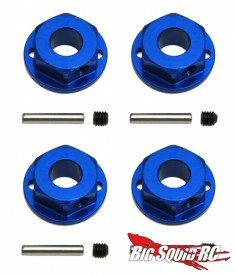 They are a cool blue color, and should add some durability to your SC10 4×4. Best of all, they will come in around 15 bucks and are avaliable right now. Check out Team Associated for more info!